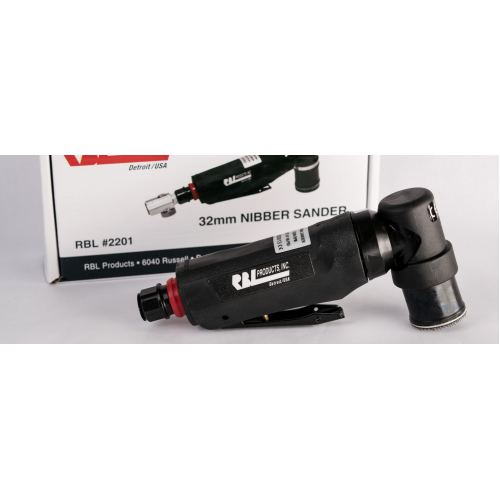 • The nibber sander is a random orbital air tool. It is designed to work with the RBL 32mm sanding discs (#42500). • Excellent for removing surface defects such as scratches, dirt, sags, solvent pop, and craters.